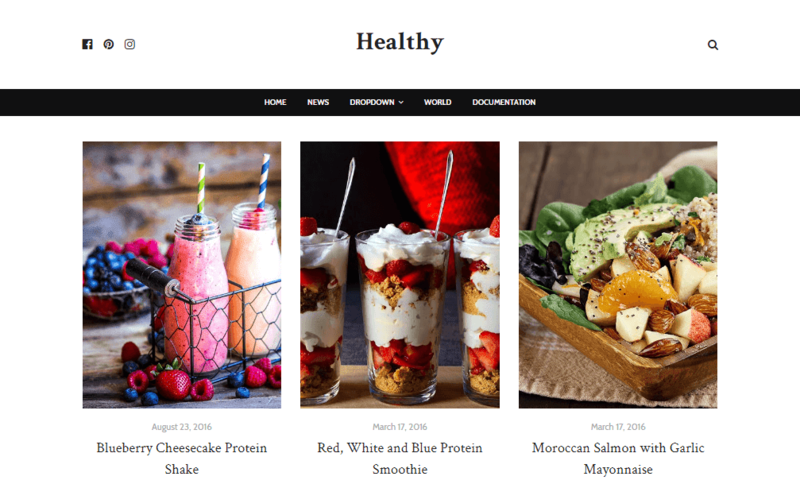 Healthy Food Blogger Template is a clean, simple and elegant blogger theme for food blogs. Are you interested in starting your very own food blog, sharing recipes and other tasty treats? If that is the case, look no further and do it in style with Healthy, one refined blogspot food blog theme. It gives you all the must-haves and then some to come up with the perfect layout that you will be proud to call your blog. Chances are, you will like Healthy’s food blog demo so much, you will stick with it out of the box. Sure, you can edit and adjust it to meet your branding but that is a straightforward task.! Following are some of the key features of Healthy blogger template.